With interest in hot tubs at an all-high, it is important to realise that not everyone’s in a position where they can splash out thousands on one… at least not from the outset. After all, hot tubs are a big investment. If it were a car, you would have had – at very least – the option of a test drive. Thanks to the latest generation of inflatable hot tubs, it’s now possible to give owners that opportunity to experience the benefits of ownership, if only for a short period. Offering a hire facility can unlock big rewards for the companies involved, too, acting as a real promotional vehicle that opens the door to larger purchases… To understand this better, we chatted with a few companies who have benefitted. Barnsley Hot Tubs founder Shaun Pickles first dipped his toe into the hot tub market back in 2014. Identifying a high level of interest in hot tub hire and a lack of competition, he began hiring out inflatables in the Barnsley area. By using social media cleverly – including tie-ins with local radio – word quickly spread about his company. Now, Barnsley Hot Tubs has more than 15,000 Facebook followers. Just two years after starting, Shaun made the decision to enter retail. He explains: “More and more customers were looking to purchase their own hot tubs, so it made sense to respond to that need. “We worked with a couple of brands before eventually settling on Marquis Spas. “As interest in the retail side increased, it became clear that the hire side was getting more and more time-consuming. I could easily spend all weekend just setting up and taking down. “My biggest concern was ensuring water quality so that water is always clean and hygienic. This became an even bigger issue when we began seeing new companies enter the local market, often with little experience in chemical treatments.” As the sales side of the business grew stronger, Shaun made the decision to focus solely on retail and the business has gone from strength to strength since. Bury-based Marquise Spas was born after Kath Garnett decided to hire a hot tub one weekend for her husband Stu seven years ago. “When it arrived, the company simply put it on a plastic sheet and left,” she recalls.” That evening, we thought, ‘you know, we could do this miles better than that.’” “The following week, we went out and bought three which were on hire just days later – complete with gazebos for a more enjoyable experience. “It wasn’t long before word of mouth spread about the service we were offering and we quickly had 20 on the go.” With more and more customers keen to enjoy their hot tubs all-year round, Marquise made the first inroads into retail in 2014. 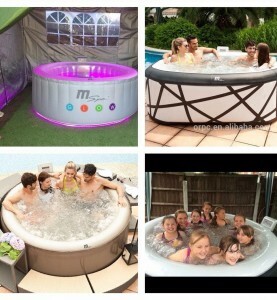 Lay-Z-Spa is the world’s first premium, inflatable hot tub and UK’s bestselling hot tub brand. With a decade of advanced engineering innovations and experience, we have the most trusted, innovative range of premium inflatable hot tubs in the world. Bringing together affordability and portability, it’s no wonder that Lay-Z-Spa is a top choice for hot tub hire companies. Marketing Manager Tom Ellyat explains: “There does seem to be opportunity in this area, but it is not easy to scale. Opportunities seem to be fairly localised. 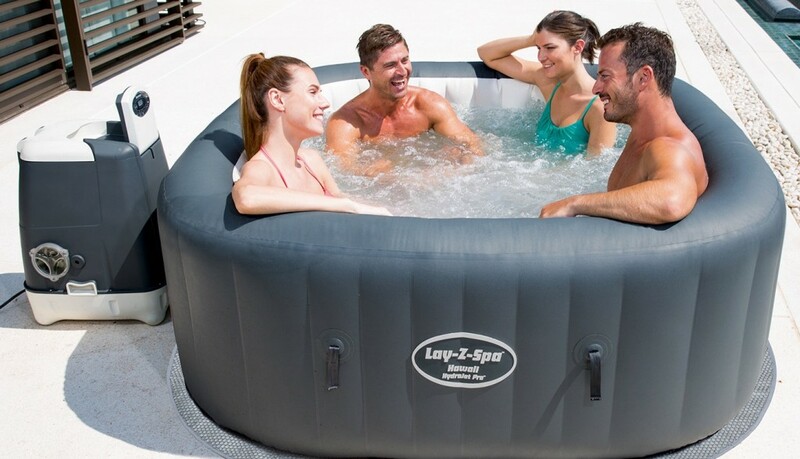 It is probably better suited to bouncy castle and kids’ party businesses over traditional hot tub retailers.” He continues: “Unlike many hard shell tubs, Lay-Z-Spas are quick to set up and pack away into a box, can fit through doorways without the need to be craned in and out of the garden. They are relatively low weight to carry, easy to clean after hire, fairly simple to repair and there is an abundance of spare parts available. “Another benefit is that as a well-known consumer brand, hot tub hire customers recognise the brand of hot tub that they are hiring and are therefore more willing to part with their money. And, often, consumers are hiring to try before they buy.” Tom confirms his two stand-out choices for customers: the brand-new Helsinki Airjet and the classic Monaco Airject. Both models have a high capacity seating up to 7 and 8 people respectively and benefit from ultra-rigid and durable drop-stitch construction, meaning it is perfect for regular party use. Hot tub manufacturer RotoSpa UK currently supplies units to more than 70 hire companies across the country, as well as offering its own hire service through its sister company Sutton Spas. RotoSpa UK produces a range of rotationally moulded quality hot tubs which are robust, lightweight, run off standard power and fit through most doorways, and are subsequently recognised as one of the leading brands for hire purposes.